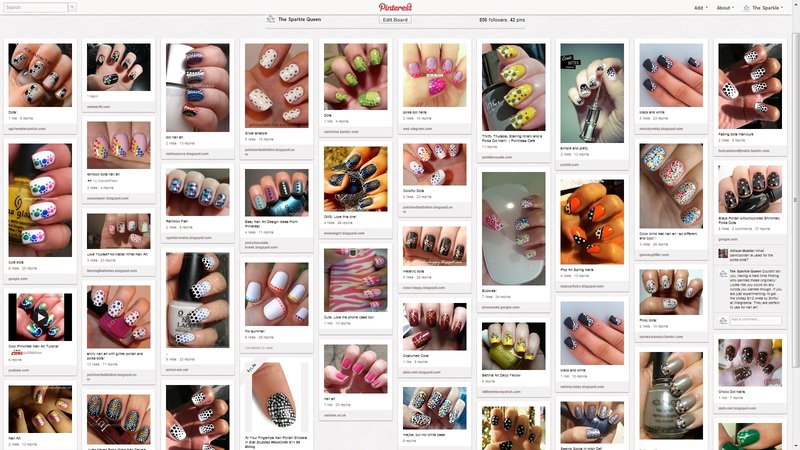 New Pinterest Board – Dot Nail Art! Have you checked out (or gotten distracted yet) by my newly rearranged nail art inspiration!? I’ve got a new board up on Pinterest completely dedicated to Dot Nail Art! Naturally, I love using my DIY Nail Art Dotting Tool when I can, so I figured I’d make a board JUST for Dot Nail Art so when I feel so compelled, I have inspiration ready to go! Do you like the look of Dot Nail Art ?